Being a head coach in the NFL is one the hardest jobs a person can have. There are only 32 in any given season, and only two get to face off in the Super Bowl. Some coaches, like Bill Belichick, Bill Walsh, and Vince Lombardi make it look easy. Lombardi was so great at winning they even named the Super Bowl trophy after him! But where do you think he ranks in NFL history? It was a real battle on the goal line to pick the best Super Bowl-winning head coaches, and here they are. Keep reading to see where your favorite coach ended up! 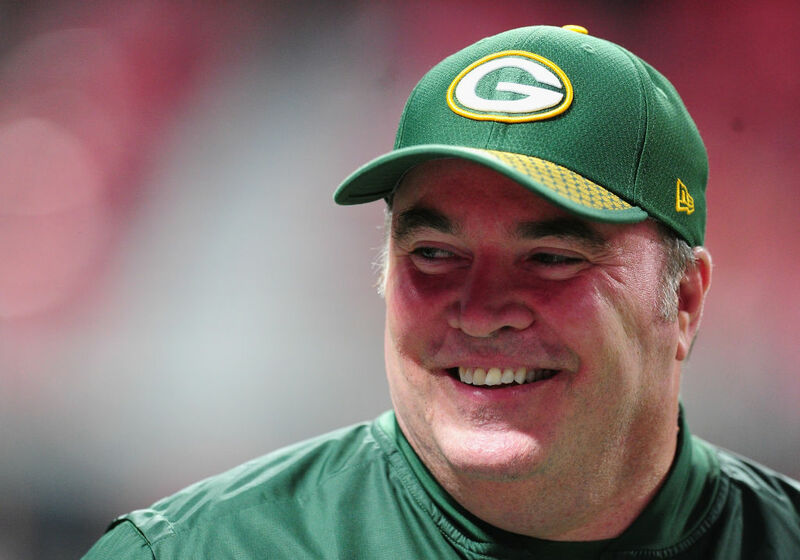 Mike McCarthy was hired by the Green Bay Packers in 2006 and lasted 13 seasons before being fired. Aaron Rodger under center, McCarty made Green Bay a perennial Super Bowl contender. In 18 postseasons games, he won ten times, beating the Steelers in Super Bowl XLV. If there’s anything keeping McCarthy from being higher on this list, it’s the common criticism that in 13 years with Aaron Rodgers he only won one Super Bowl. What can’t be denied is his winning pedigree. 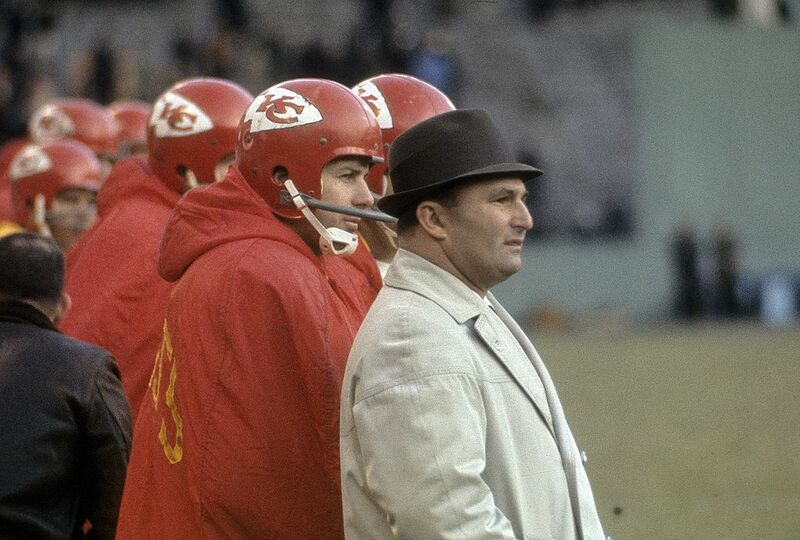 Hank Stram is responsible for one of the most famous lines in NFL history. During a blowout victory over Minnesota, NFL Films got him on tape saying, “It’s like stealing.” That game, was the Super Bowl, where Stram’s Chiefs dismantled the Vikings 23-7. Before that Super Bowl victory, Stram was forced to taste defeat. He took on the Packers in NFL’s first Super Bowl, getting crushed 35-10. From those two outcomes, it’s clear that he didn’t like close games! Coming up, a history-making coach still winning big in the steel city! One of the longest tenured coaches in the NFL, Mike Tomlin’s career will always be tied to Ben Roethlisberger. Having a future Hall of Famer at his disposal has made life nice in the steel city. You know what would be really nice, though? Another ring. 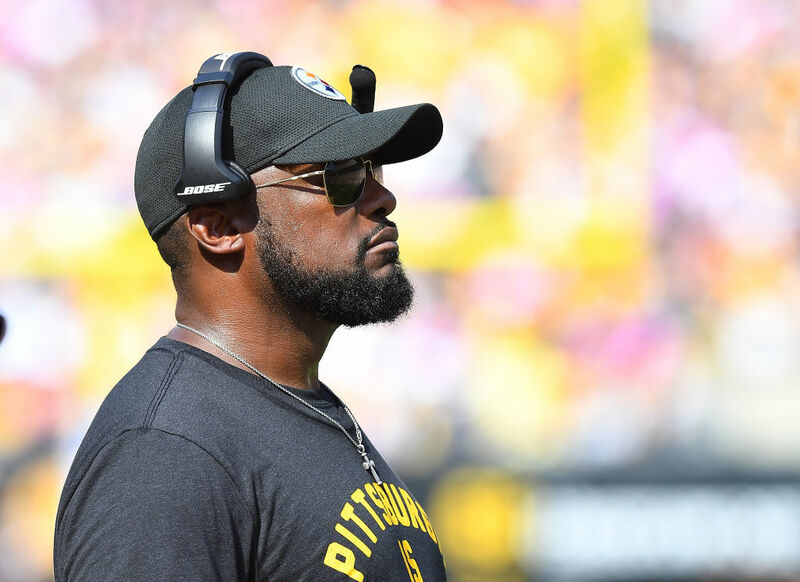 Since he was hired in 2007, Tomlin has led the Steelers to two Super Bowls, winning one and losing one. The loss was a last minute heartbreaker against the Packers. The win was a last second jaw dropper against the Arizona Cardinals. 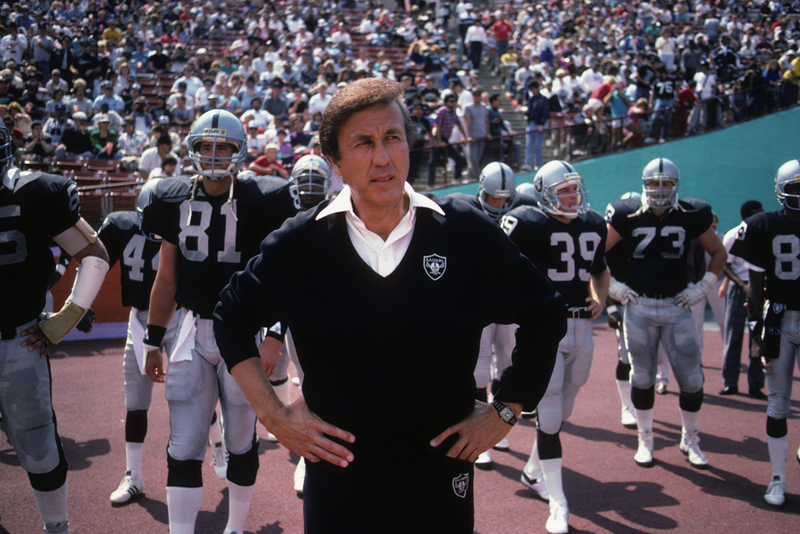 Taking over the Raiders from John Madden meant Tom Flores was in the hot seat as soon as he accepted the job. He excelled under pressure, taking the Raiders to two Super Bowls and winning both. Even more impressive, he didn’t have a Hall of Fame quarterback. Do you remember the name Jim Plunkett? The average at best quarterback had failed his way out of New England before landing with Flores in Oakland. The pair won their first championship there, and another two years later when the team relocated to Los Angeles. Tony Dungy broke barriers in the NFL. He was the first African American head coach to win a Super Bowl, setting the table for Mike Tomlin and others to follow. It wasn’t easy in Indy, though, as Dungy found himself having to coach around Peyton Manning’s annual playoff meltdowns. 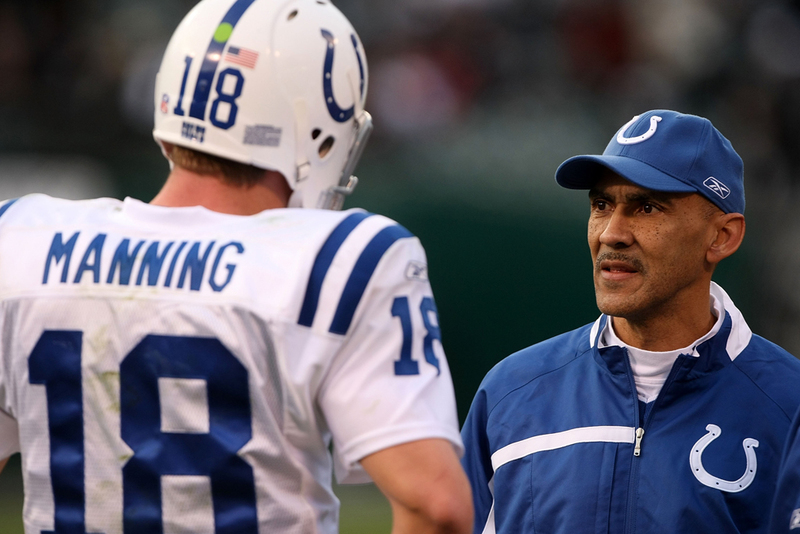 Four years after being hired, Dungy and Manning got over the hump, making the Super Bowl. The Colts beat the Bears 29-17 to win the organization’s second Lombardi trophy, and the first after moving to Indianapolis from Baltimore. Still ahead, a coach who retired as a member of a very exclusive Super Bowl club! Mike Holmgren split Super Bowl appearances with the Green Bay Packers and Brett Favre. In 1996, Green Bay beat New England. Two years later the duo lost to John Elway and the Broncos. Holmgren left the Packers after the loss, signing an eight-year contract with the Seahawks. 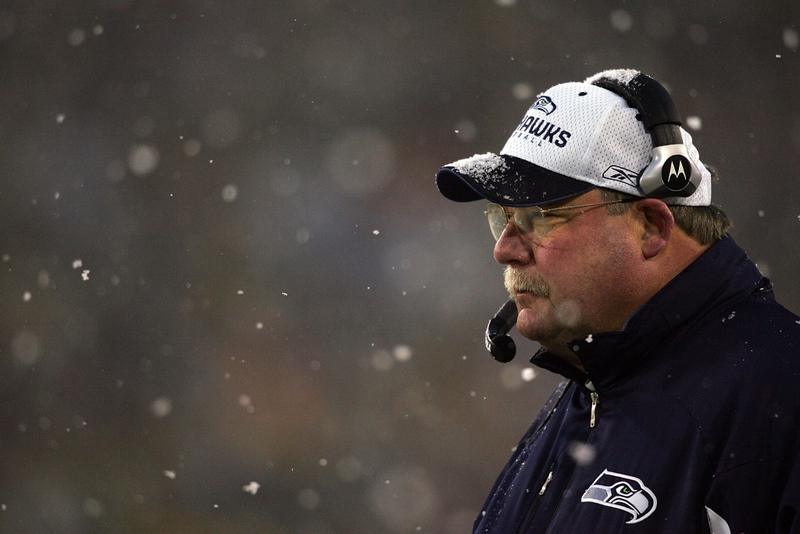 Once firmly entrenched with Seattle, Holmgren traded for Green Bay backup Matt Hasselbeck. In 2005, Seattle reached its first Super Bowl in franchise history, losing to the Steelers 21-10. The appearance made the Bay Area native the fifth coach in league history to take two separate teams to the Super Bowl. 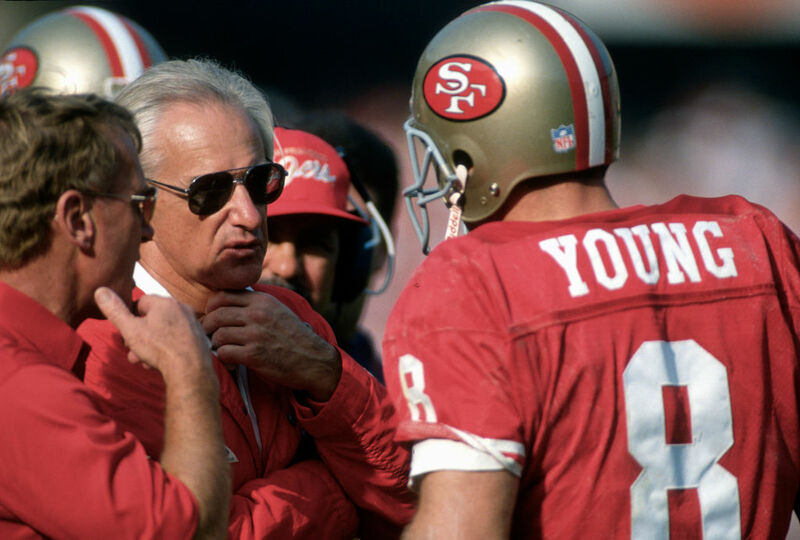 George Seifert took the reigns of the San Francisco 49ers after Bill Walsh retired and had to navigate the transition from Joe Montana to Steve Young. He proved he could handle the pressure, taking the team to two Super Bowls and two wins. His biggest win came with Steve Young. After Montana retired, Young struggled to overcome the burden of following his greatness. Seifert helped Young get the “monkey off his back” in Super Bowl XXIX, where he threw a record six touchdown passes and was named MVP. The coach who should have run the ball is next! Pete Carroll would be higher on this list if it wasn’t for one decision. Sitting on the brink of winning back-to-back Super Bowls, Carroll had Seattle throw instead of run the ball. The pass intercepted, and Seattle lost. The play call still stands as one of the most baffling in Super Bowl history. Still, it didn’t take long for Carroll to mold the Seattle Seahawks into his defensive image. Having accomplished everything he could at USC, Carroll transitioned smoothly to the NFL. It didn’t hurt when he drafted Russell Wilson, who has become elite under Carroll’s tutelage. 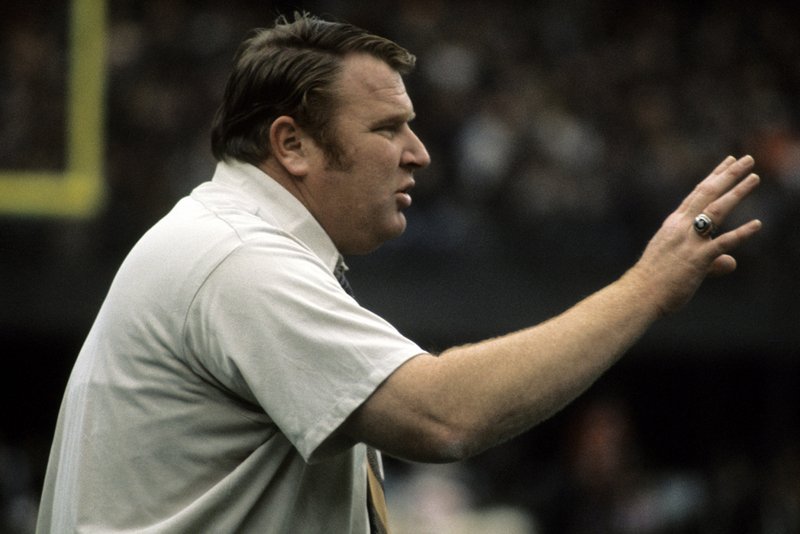 Much more than the name behind one of the most successful video game franchises of all-time, John Madden had an incredible NFL career. During his ten-year tenure with the Oakland Raiders, he went 103-32, the best regular season winning percentage ever. This list isn’t about the regular season, though. Madden came back to earth in the playoffs, posting a 9-7 overall record. His teams made six AFC Championship games, losing five of them. When he did make it to the Super Bowl in 1976, Oakland did not disappoint, beating Minnesota 32-14. Like Pete Carroll earlier, Jimmy Johnson might be higher on this list if not for one setback. 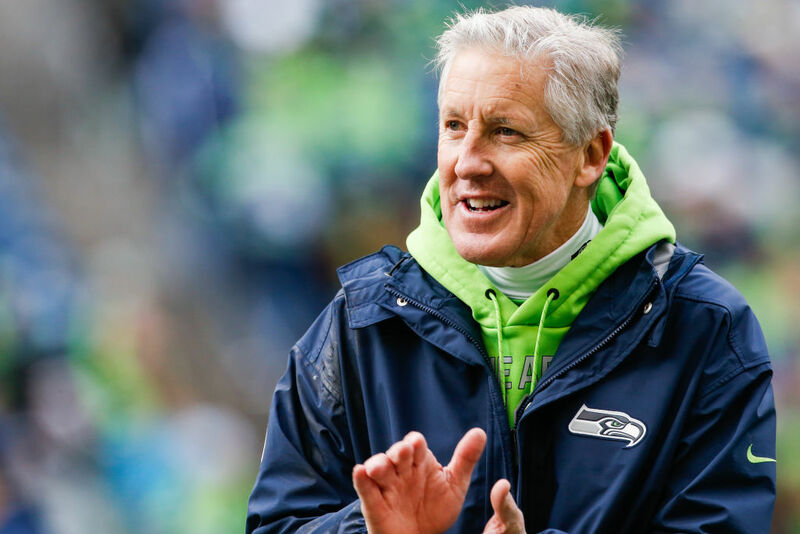 Unlike Carroll, his setback wasn’t play calling, it was management. 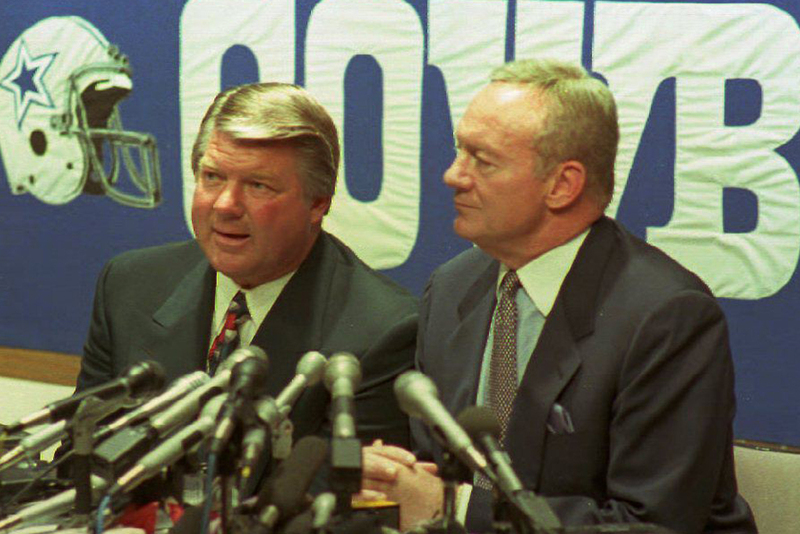 Johnson won two Super Bowls with Dallas, but never got the respect he desired from team owner Jerry Jones. 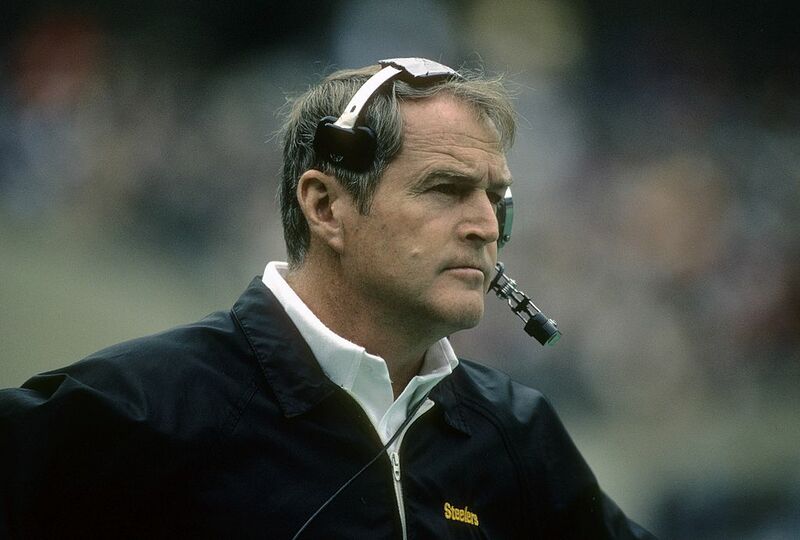 Their constant disagreements ultimately ended with a “mutual parting of ways.” Johnson was the head coach of Dallas for four years and won two Super Bowls by a combined 52 points. If he and Jones could have made nice with each other, who knows how many more rings he’d have. 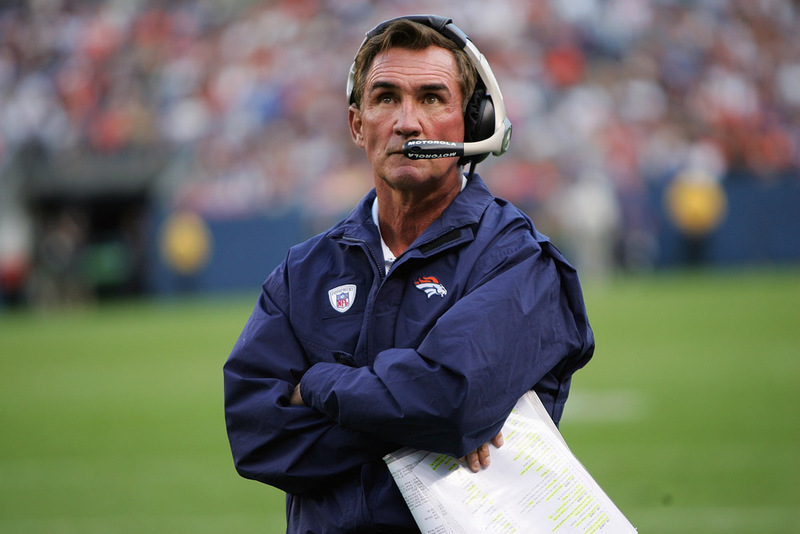 Mike Shanahan had a short start to the beginning of his career, lasting only 20 games with the Raiders before getting the boot at the age of 37. That damaged his legacy a bit but set him up for a bigger return when he landed with the Denver Broncos. Shanahan had a healthy Terrell Davis and John Elway was still capable of performing at a high level. This combination led to zero Super Bowl defeats and two wins. 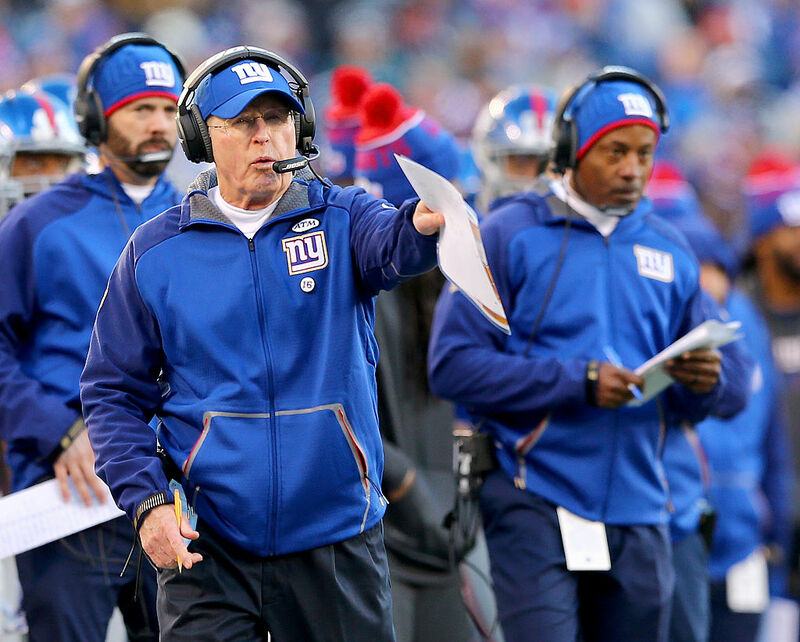 Many might consider Tom Coughlin the most underrated coach in NFL history, but much of his demise came at his own hand when he struggled to maintain regular-season success. Out of his 20 seasons, seven of them weren’t winning years. He did, however, go 2-0 in Super Bowls with Eli Manning at the helm. Bringing crushing defeats to Tom Brady and the Patriots, he remains the only coach to defeat Bill Belichick in the Super Bowl. Bill Parcels record in Super Bowl games is 2-1. His career playoff record is 19-11. Basically, he knew how to win when it mattered most. 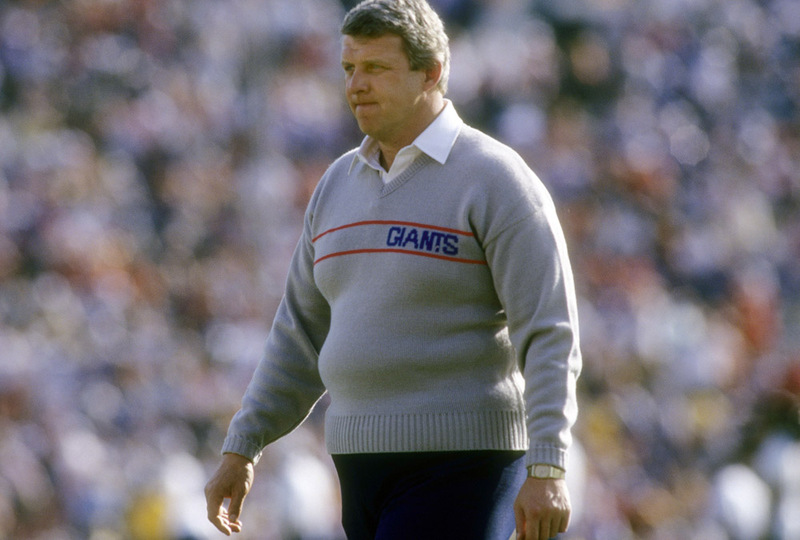 Parcells is interesting in that he coached several different teams and brought many of them to prominence. Parcels was in charge of four different teams and brought at least three of them to the conference championship game and two of them to the Super Bowl. He admitted it was his “headstrong” manner that made him leave New England after reaching the big game with them and losing. Whatever the case, the Giants are glad he departed and brought them two titles. 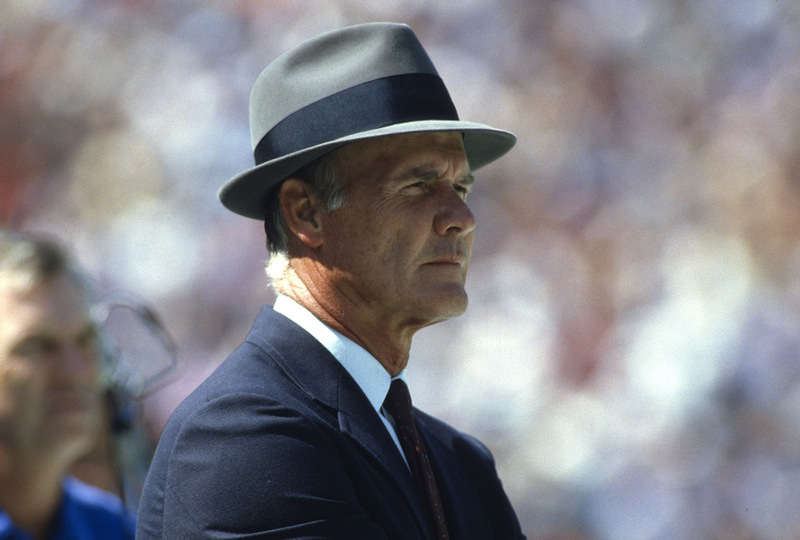 Tom Landry managed to bring his Cowboys to the ultimate game five times during the ’70s. After his loss to Seattle in what many deem the greatest Super Bowl, Landry failed to bring his team back to that stage again in a decade. This business is rough but his two wins in ’71 and ’77 were probably enough to make up for the losses. He just happened to be apart of a well-oiled team during the Steelers reign of dominance. 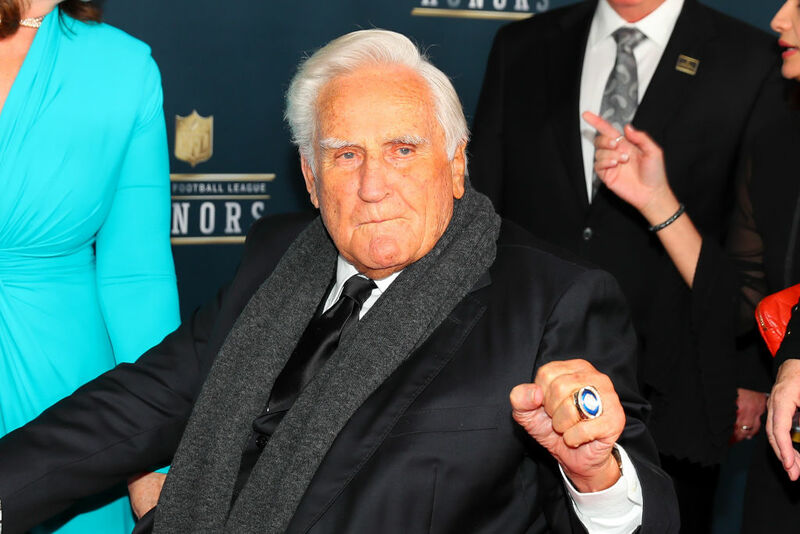 Don Shula is an interesting case. He may have lost as many Super Bowls as any coach ever, but he also won more than most did. He was 2-4 in the Super Bowl but lost one where his Colts had been favored by more than two touchdowns. All things considered, you have to remember that it isn’t hard making it to the big game six times. One time is hard enough! Don’t forget to throw in his 17-0 season that his Dolphins capped off with a 14-7 victory over Washington in SBVII. 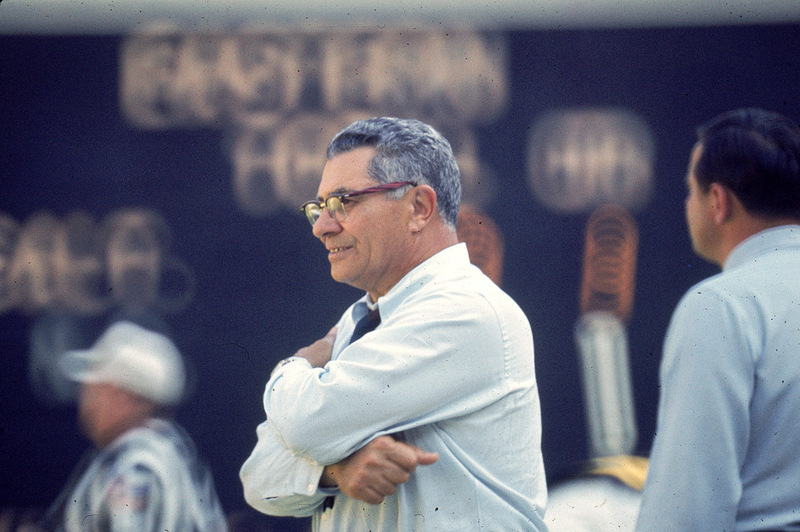 Unfortunately for Vince Lombardi, only three of his ten seasons fell into the Super Bowl era. Otherwise, he would receive way more praise. Either way, he helped launch said era with his Green Bay Packers. They beat two storied franchises in the Raiders and Cowboys. Due to a tragic diagnosis of late-stage colon cancer, Lombardi wasn’t able to continue his run. We guess that was the door opening for other teams to have a chance at winning. Here’s another coach that didn’t lose a single Super Bowl. 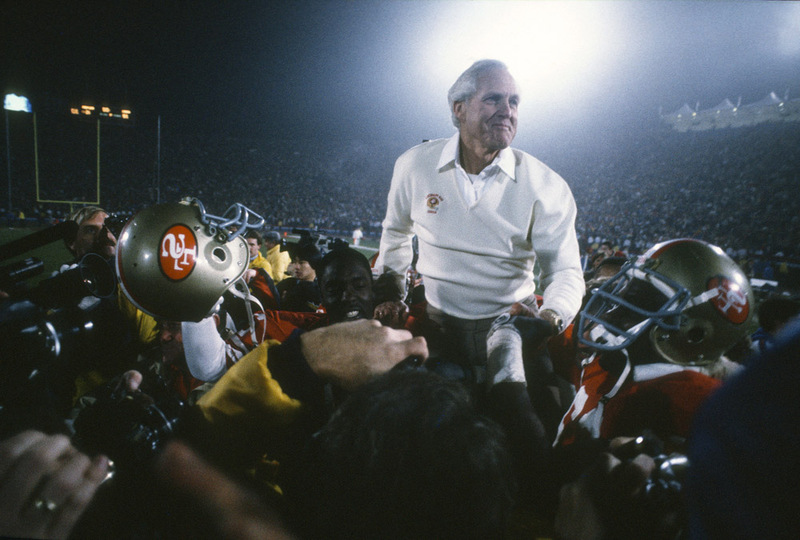 Bill Walsh won all three of his trips to the biggest game of the year. He also reinvented football during the ’80s. He unleashed the potential of the passing game to control the clock while simultaneously frustrating the opposing defense. Joe Montana was the master of the West Coast offense as it kept drives alive and the defense fresh. Had Walsh not retired when he was 57, he might have become the greatest coach of the Super Bowl era. The Steelers from the ’70s have to be the greatest NFL dynasty ever. They are still outlasting the 21st-century Patriots because they were a team of talent, not just a player-coach duo. Noll has four Super Bowl victories with zero losses. Terry Bradshaw had the honor of playing the quarterback position during these championships, but the team ended up changing significantly throughout the course of this fantastic run. When you haven’t lost a game in the Super Bowl in four tries, you deserve to be on this list. 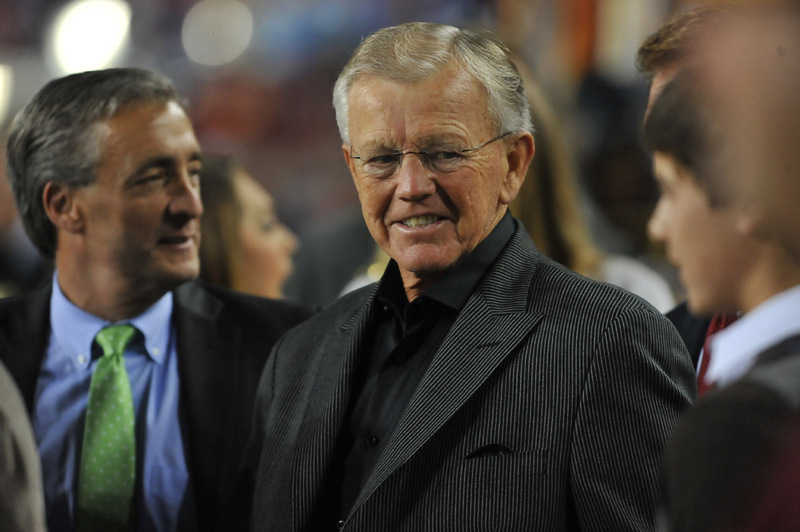 With three Super Bowl wins and one defeat, Joe Gibbs is well-accomplished. What makes that stat even better is Gibbs won with three different quarterbacks. You usually pair Super Bowl-winning coaches with their quarterback, but Gibbs had many. Something even better is that Gibbs always had dominant teams in the big game. He wasn’t the type to take an 8-8 team on a miraculous run. The three teams he coached that won were a combined 33-7. Even with Spygate on his resume, you still have to respect the coaching legacy of Bill Belichick. The New England Patriot’s head coach has more wins than losses in the Super Bowl. 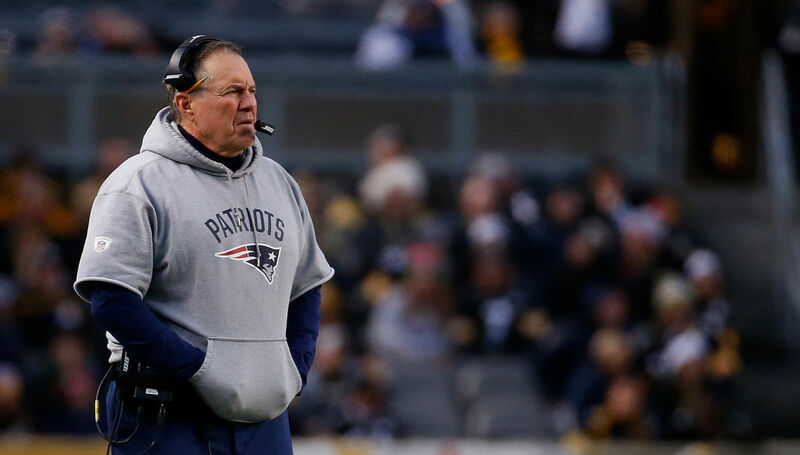 No other coach has been to more and won more than Belichick (five victories and three losses). There hasn’t been another to perform at such a high level for so long. You can chalk it up to having Tom Brady as his quarterback, but other players seem to flourish under Belichick where they might struggle elsewhere. If it weren’t for Belichick, Brady might not have developed as he did.